This blogger cried hard on her YouTube channel after her Instagram account got mysteriously deleted – fearing that she’d have to go get a 9-5 job. 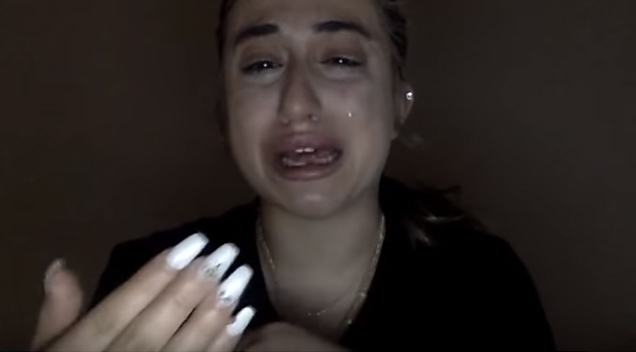 Jessy Taylor said she moved to LA to become famous on Instagram, and that her old account, which has garnered a whopping 113,000 followers, was taken down due to people reporting her. She said that she is “nothing” without her fanbase. She said: “I want to say to everybody that’s reporting me: Think twice because you’re ruining my life, because I make all of my money online, all of it and I don’t want to lose that.